Qantas Airlines is one of the oldest airlines in the world, having started in 1920. From flying mail across the country to expanding world-wide as a well-known and respected passenger airline, the company has expanded immensely in nearly a hundred years. Links to apply for jobs at Qantas Airlines are at the bottom of the page. 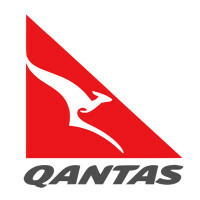 Originally, Qantas Airlines focused exclusively on Queensland and the Northern Territories of Australia. The first international flight was in 1935 from Darwin to Singapore, and the company never looked back, adding a flight to Southampton in 1938. In 1947, Qantas became a nationalized company. In 1958, the airline was the second to offer around-the-world flights. 1960-1992 allowed Qantas Airlines to grow immensely and increase their fleets to move more people around the world quickly and safely. In 1993, Qantas Airlines was privatized and bought Australian Airlines, giving the company access to domestic travel. In 2008, discussions to merge with British Airways collapsed, preventing the creation of the biggest airline in the world. Qantas Airlines has three major hubs in at the Brisbane, Melbourne, and Sydney Airports, with secondary hubs at Adelaide Airport, Dubai International Airport, and Perth Airport. Currently, they have forty-two destination across the world and eleven subsidiaries. There are jobs available at the corporate office, located in Mascot, New South Wales. They are all entry level jobs and are focused on making the customer experience better. There are some higher level jobs, but you must have a lot of experience to fill out a Qantas Airlines application for that job. At the local levels, there are plenty of Qantas Airlines jobs online open to you. As you apply for Qantas Airlines jobs, make sure to look closely at where you’re applying, because the jobs are not transferrable by location. There are several airports for you to choose from as Qantas Airlines services all of Australia. How old do you have to be to work at Qantas Airlines? Age requirements vary by job, but for some you must be over eighteen. Make sure to read all job requirements closely, some require you to have various degrees, experiences, or medical checks, as you’ll be lifting heavy items. Benefits for those with Qantas Airlines careers living in Australia include reduced air travel cost, maternity and paternity leave (including adoptions), a health and wellbeing program, and, in certain cities, access to affordable childcare. Benefits for employees in other countries depends on the location, but also include reduced airfare and access to an Employee Assistance Program. Customer Service Agent – You are one of the front lines of the airlines. You will interact with customers and work closely with fellow staff members to ensure that the customer has the best experience that they can. Compensation is over minimum wage. Flight Attendant – Giving customers the best service that you can is a major part of this job. You want the travelers to feel welcomed, appreciated, and important as they step abroad your plane. Compensation is around AU$30,000 a year. Ground Crew (Baggage Handler) – Crew safety is one of the biggest parts of this job as you move heavy equipment quickly and efficiently to help with loading and unloading. Making sure that planes take off on time is a major part of this job. Compensation is around AU$30,000 a year. Analyst Customer Strategy Performance – Finding ways to make the customer’s experience even better is what this job is about. Having effective and innovative ways to source your data and understand customer movements are key to this position. Compensation is competitive. Why do you want to work for Qantas Airlines? As this is an extremely common interview question, make sure to be prepared for it. Talk about what drew you to the company, whether it was the culture or benefits, and why it’s your first choice. What experience do you have? As Qantas Airlines wants to keep improving the customer experience, make sure to talk about any customer service experience that you have. Highlight all relevant experience that you have and can offer to the airline. Where do you see yourself in the next few years? Be realistic in your career expectations. Your interviewer is wanting to know if you see yourself being with the company. Make it clear that you’re willing to take on extra responsibilities and challenges to move up in the company. How would you deal with irate customers? This may be asked in a hypothetical situation, explain what you would do and why as concisely as you can. Make sure to use examples from previous experience. If you’re interested in becoming a flight attendant, you may be asked to give an example of how you react under pressure. Be clear and specific in your example. Make sure to explain why you made the choices you did and what the other options that you had were. How to apply for Qantas Airlines online: you can fill out a general Qantas Airlines application by clicking the first link that will find the best position available for you. If you’re interested in a specific job, click the second link and search for it. Once you’ve found it and in the specific area that you’re interested, hit apply now and follow the instructions. There is no printable application for Qantas Airlines. Before your interview, do research on the company and industry. Bring a list of questions with you to ask your interviewer, several of your questions may be answered during the course of your interview, and it may seem excessive for an entry level job. However, it will place you above your competition. The interview will be formal, so make sure to dress appropriately, business casual, at the very least. Have a positive and respectful attitude towards your interviewer, it will show that you’re already trying to fit in with the Qantas Airlines attitude. Make sure to be gratuitous for a chance to interview with the company. Afterwards, ask about the best way to check on your hiring status. No interviewees will be given a job during their interview, as the company will want to see all candidates before making a final decision. Delta Airlines: See this page for jobs at Delta Airlines. American Cruise Lines: For employment at American Cruise Lines visit the application page. Japan Airlines: Visit the Japan Airlines application. Holland America Line: See our resource page for more information on Holland America Line careers. Regent Seven Seas Cruises: Visit the Regent Seven Seas Cruises application.